Cheap Flights SA: Book Domestic and International Flights to Durban, Johannesburg, Cape Town, Port Elizabeth, Bloemfontein and Other South African Cities! Cheap Flights SA is a travel portal dedicated to providing low-cost airline tickets for South African flights. 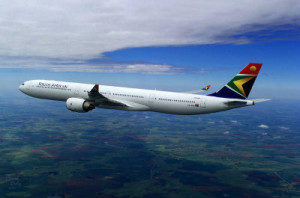 Passengers that travel to or from South Africa have the choice of several airlines to book with. Whether you choose to fly first class, business class or economy you can find affordable flights to Cape Town (CPT), Durban (DUR), Johannesburg (JNB) and other cities with us at cheapflightssa.co.za. We have forged a close working relationship with major and budget airliners that allow us to pass the savings on to the customer. Whether you want to surf the beaches in Durban or go shark diving in Cape Town, you can search for cheap flights in South Africa on our booking form above, compare flights from different airlines, such as South African Airways (SAA), British Airways SA, Mango, Kulula, Mango etc.. and book your flights online. 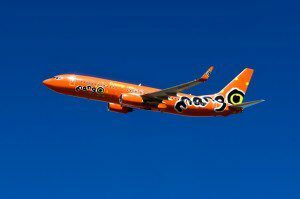 Unlike many companies, Cheap Flights SA offers discounted flights from Johannesburg to Port Elizabeth or East London to Bloemfontein. The vast multicultural lands of South Africa ensure there are many sights and landmarks to see and enjoy. Find cheap flights from Johannesburg where you will enjoy the inland beauty and then hop on a plane to Durban to end your holiday under the hot South African sun. Just because money is tight doesn’t mean you shouldn’t enjoy a relaxing getaway. Enjoy the rich history of the city of roses in Bloemfontein or enjoy a long weekend of cheese and wine with tourists in George. Whatever hotspot you choose for your domestic holiday, you should know that cheap flights can save you money. Being an international traveller doesn’t mean you need the bank account of a wealthy traveller, you just have to know where to look for discount flights to your favourite South African destinations. Get cheap flights from Durban to take you to the European continent or book your flight today from America to the City of Gold, Johannesburg. Save money by comparing cheapest airfares today and book discount flights to see the most beautiful cities South Africa has to offer. No matter how much money you have, saving money on airfare is at the forefront of every traveller’s mind when they start planning a trip. Since the days of travel agents are long gone the responsibility for finding inexpensive flights in South Africa falls to you, the traveller. Jet-setters in the know, acknowledge that finding cheap flights requires a bit of research, so make sure you compare flights before ordering. The first step is to figure out when you would like to travel. It is best if you have some flexibility as departure and arrival dates can greatly influence the cost of airfare. Find the cheapest flights available by using your flexibility as you may save a few bucks by leaving Monday through Thursday since these are not peak travel days. You can maximize your savings by purchasing all of your tickets at once. If you plan to start your holiday in Durban and end it in Port Elizabeth, with a few days in between in East London, securing your tickets ahead of time can help you save on last-minute airfare prices. We compare prices right away so you don’t have to wait for airfare quotes. As soon you see you a price you like, reserve it. Cheap Flights SA is committed to top notch customer service and satisfaction. It is our goal to give customers the cheapest flights possible to all South African cities. Our customers can always receive the lowest prices to top travel destinations because of our agreements within the travel industry. Whether you travel for business or pleasure, within South Africa or to the world abroad, booking cheap flights with Cheap Flights SA will make your travel adventures more affordable.